Dr Pamela Blair (holistic psychotherapy) Jenny giblin (yoga, nutrition) and Dan Baker (alternative nutrition) on the Holistic Health show. Dr Carl O Helvie interviewed two back pain experts and two CEO’s of companies providing natural products for back pain and arthritis pain. These are pictured from left to right: Dr Andrew Fleschner, Dr Andrew Block, Mr Daniel Chapman, and Mr Tamer Elsafy. The interviews follow. I hope you enjoy and learn from them. Guests to be Interviewed by Dr Carl O Helvie on the Holistic Health Show on Saturday include Dr. Andrew Fleschner (top left), Dr Andrew Block (top right), Mr Daniel Chapman (lower left), and Mr Tamer Elsafy (lower right). Dr. Andrew Kirschner is the physician many top athletes and performers turn to for relief from pain. Dr. Kirschner, a board certified physician and Assistant Clinical Professor at the Philadelphia College of Osteopathic Medicine, has created a unique combination of his own Osteopathic techniques and other carefully selected modailities which he has named OSTeO. These techniques with the accompanying psychological strategies can often help to decrease pain and restore peak function where more conventional approaches have failed. Atheletes and the physically challenged, adolescents and the elderly have all benefitted from his unique approach to back & neck pain. 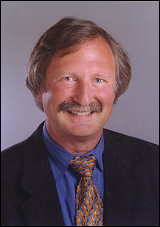 Dr. Kirschner graduated from the Philadelphia College of Osteopathic Medicine in 1995. He completed an internship and residency in family medicine and osteopathic manual medicine at Suburban General Hospital in 1998, and became board certified in family medicine and osteopathic manual medicine that same year. He has been in private practice in Bala Cynwyd, PA since 1999, and has worked as a peak performance consultant in Miami since 2000. Dr. Kirschner founded Back Together in 2001 to be a resource for individuals and couples looking for information about back pain, as well as conservative solutions to back pain. His well received book Back Together- Hands-on Healing for Couples was released in 2006 has helped thousands of couples find relief. His follow up video program Back Together- Simple & Effective Solutions for Back Pain was released this year. The Back Together blog, BackWords is one of very few resources on the internet offering direct responses to viewer questions both in video and text form. If you or someone you know is suffering from back pain, you owe it to yourself to visit his websites. -Become a fan of Back Together on Facebook to receive the Back Together Back Pain Tip of the Day. -View Back Together video updates on his youtube channel, backtogethertv. Director of the Well Being Group in Plano, Texas; Associate Clinical Professor at the University of Texas in Dallas; and Assistant Clinical Professor in the Department of Psychiatry, University of Texas Southwestern Medical School. Mr Elsafy’ product is for arthritis which will complete the series on arthritis. I will add that I have no connection with either of these companies or products to be presented by Mr Chapman or Mr Elsafy and found them through contact with publicists. I received samples and passed them on to friends suffering from arthritis or back pain and received positive reports back. I offer these interviews to sufferers because of my interest in natural products and supplements instead of harsh chemicals in the treatment for pain. New research to be published in the February issue of Arthritis & Rheumatism discussed a novel way to halt or reverse rheumatoid arthritis by using am imitation of a suicide molecule that floats undetected into immune cells that are responsible for this type of arthritis. Using this approach the researchers were able to stop the disease in 75% of the study mice without any observed toxic effects as is the case with current drugs. The mechanism is that healthy immune cells usually die after attacking an invading virus or bacteria. However, in rheumatoid arthritis the immune cells do not die but live on and go rogue proliferating in the blood, building up in the joints and invading cartilage and bone. Researchers discovered that immune cells in rheumatoid arthritis are low in a critical molecule (Bim) that cause the immune cells to self- destruct. To correct this fault they developed an imitation of this molecule (called BH2) that was injected into study mice with rheumatoid arthritis that caused the immune cells to destruct, joint swelling was reduced and bone destruction decreased. Thus, they concluded that the molecule could prevent the disease and trigger a remission in those who have it. Further research is planned to develop a more precise method of delivering the drug. A new study published in the December issue of PM&R: The Journal of Injury, Function and Rehabilitation concluded that running shoes exert more stress on knee, hip and ankle joints than running barefoot or walking in high-heeled shoes. Sixty-eight healthy young adults who run at least 15 miles a week in typical running shoes (37 women and 28 men) and who had no musculoskeletal injuries were included in the study. Each was given a pair of typical running shoes and observed running barefoot and with shoes on a treadmill. Data was collected at each runner’s comfortable running pace after a warm-up period. The researchers observed increased joint torques at the hip, knee and ankle with running shoes. An average 54% increase in the hip internal rotation torque, a 36% increase in knee flexion torque, and a 38% increase in knee varus torque were measured when running in running shoes compared with barefoot. This is even higher than the earlier reports of knee joint torque reported for high heeled shoes. The researcher concluded that the goal of new footwear designs should be to reduce joint torque in footwear to that of barefoot running while providing meaningful footwear function.